E101 Is An Perfect Choice For FTTH. Compliant with IEEE802.3ah standard, E101 is widely compatible with global ISP and OLT . 1 gigabit wired RJ45 port is provided by E101 to bring ultra-fast data transfer. Plug and play, E101 supports OAM remote management without onsite configuration as well . 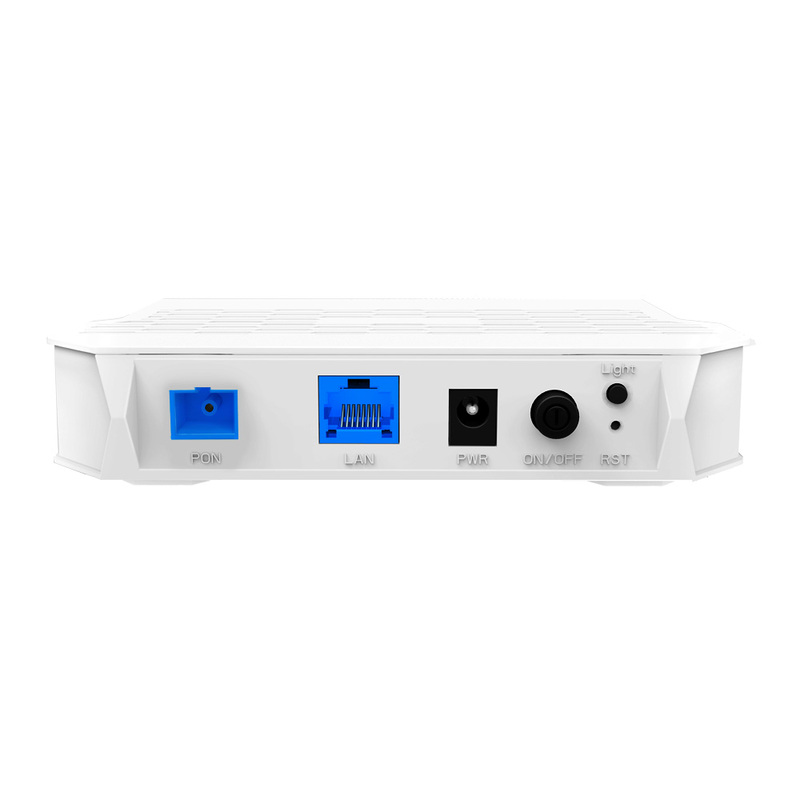 E101 is a terrific EPON device for FTTH with easy and simple design. With upstream and downstream rate up to 1.25Gbps and transmission distance up to 20Km, E101 can bring freewheeling internet access . >> Compliant with IEEE 802.3, IEEE 802.3u, IEEE 802.3ab, IEEE 802.3ah standard. >> Downstream and upstream rate is up to 1.25Gbps and transmission distance is up to 20Km. >> Supports OAM remote management without onsite configuration. >> Gigabit LAN port supports ultra-fast data transfer. >> WEB management and optical power monitor. >> Low power consumption ensures greenlumi. >> Brand-new interface ensures simple and easy installation. >> Compatible with most ISP. E101 is a perfect choice for FTTH. Compliant with EPON standard, downstream and upstream rate up to 1.25Gbps, E101 is widely compatible with global ISP and OLT. Downstream and upstream rate up to 1.25Gbps which is 50 times faster than conventional 24Mbps ADSL brings freewheeling internet access. Gigabit LAN port supports ultra-fast data transfer. 1 Gigabit wired LAN port supports ultra-fast data transfer. E101 can bring freewheeling internet access, making it a great choice to build multimedia entertainment network easily. Remote management for easy use and simple maintenance. OAM remote management without onsite configuration ensures easy use and simple maintenance.